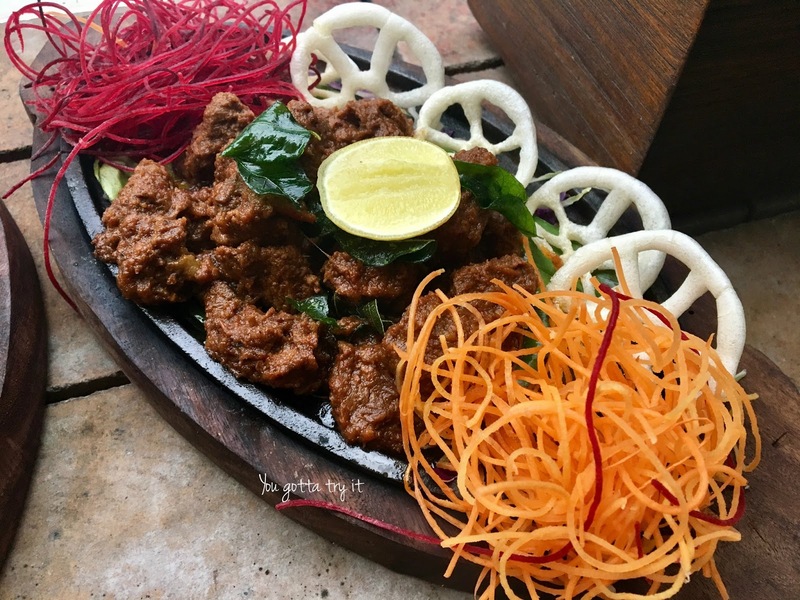 You gotta try it: Have you checked the Sizzlers bite at District 6, Malleshwaram yet? 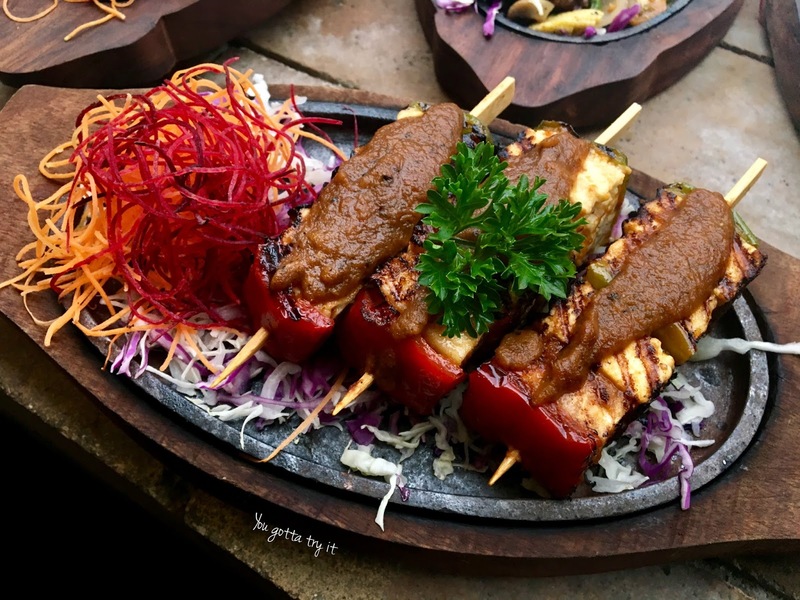 Have you checked the Sizzlers bite at District 6, Malleshwaram yet? One cannot miss this famous brewery in Bangalore when you’re around Malleshwaram area- District 6 Pub Brewery & Kitchen. 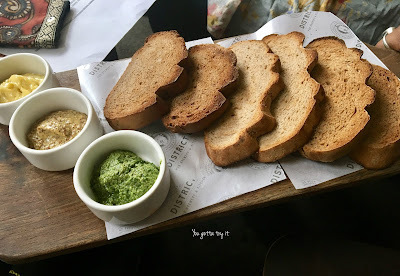 District 6 was on my bucket list since very long time and one fine Sunday a couple of us visited this Brewery to check out their ongoing ‘Sizzler Bites’ festival (until Sep 30th). This is the very first time I visited District 6. District 6 provides the traditional beer crafting and German-style brew experience with the assistance of CFB (their Microbrewery consultants), Kasper Schulz; 350 years old brew House manufacturers from Germany and Weyermann malts. If I have to travel from this side of town to another side, first I will ensure whether the place is worth enough my travel and time. My conscience approved and gave a big tick mark for District 6. This brewery is located right next to Orion mall and it has a beautiful and spacious ambiance which gives its customers a vibrant feeling along with good food and brews. I love visiting microbreweries and try all kind of beers. I prefer Lager/ Stout over Wheat or IPA. We started with beer samples and the taste of Radler beer with citrus notes remained on my taste buds for a while. I ordered a tall glass of Radler Beer during the course of lunch. This went well with the sizzler bites. I was very curious to know what’s the Sizzler bites festival all about as I always had Sizzlers for the main course. The idea was very simple and well executed – sizzler styled starters. 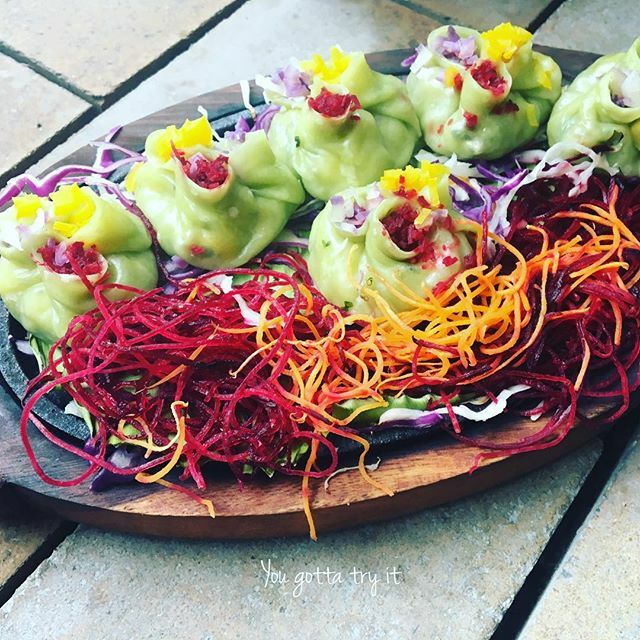 We tried an array of appetizers and everything was perfectly done. They have included flavors from all popular regions. 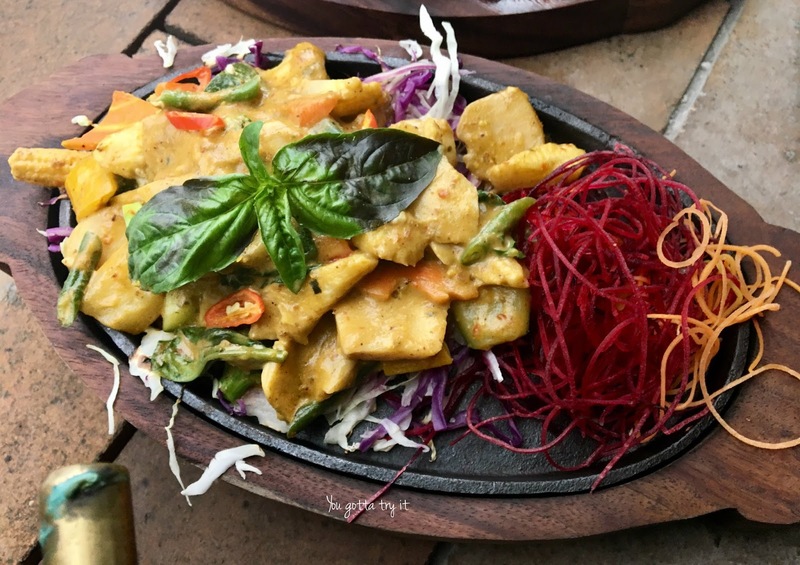 Some of my favorites were Chili Basil Chicken, Sizzling Veg dumpling with Spinach and Corn stuffing, Coorg Pepper Pandi, Beef Sukka, Chinese 5 spiced baked fish, Cheese and Vegetables stuffed Tandoori Aloo and much more. 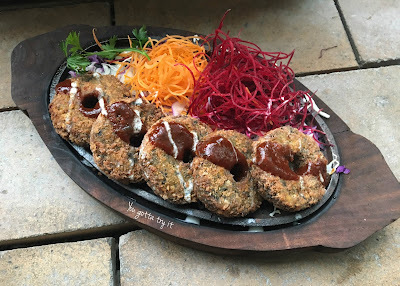 I love the Sizzlers bite concept and the way they presented each and every dish. 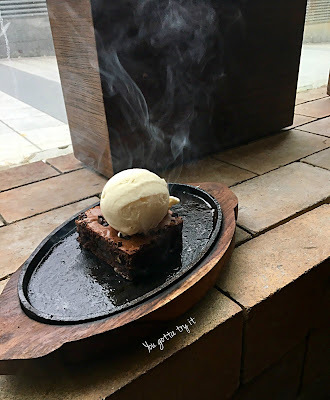 The rainy weather was perfect for some piping hot food and chit-chat. The German Malt Bread Basket (bread made of beer) was something which amazed me. It came with three dips - beer butter, mustard and pesto. Our lunch ended with a sweet note by savoring New York style Cheesecake with Raspberry compote and Sizzling brownie with hot Chocolate sauce. According to my baker friend, this was the best Cheesecake ever had in Bengaluru and I couldn’t agree more. Though I didn’t earn any Brownie points, I had the same opinion for Brownie too. Visit District 6 on or before Sep 30th and enjoy a lovely meal with your favorite brew. A fun afternoon with friends, perfect food, and brilliant beer; what else I could wish on a Sunday afternoon. This place has been added to my favorite restaurants/breweries list.